2005 Jennings Boat Yard Proline MUST SELL! This clean 2005, 21 foot proline center console comes complete with Garmin 4200 series, and a Garmin 550 fish finder, 2 year old bottom job, with additional lighting. The 150 HSPR Honda engine has less than 170hrs. Great boat for the buck! Trailer included in price. 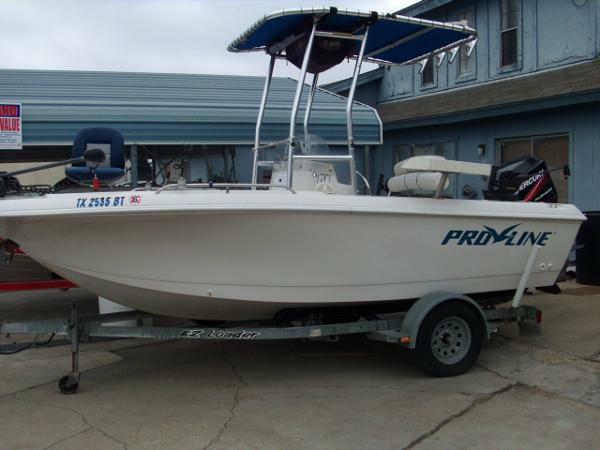 1999 PROLINE 170 POWERED BY A MERCURY 125 HP, VERY CLEAN CENTER CONSOLE. VHF, GARMIN FISHFINDER, STEREO, LIVE WELL AND BIMINI TOP. 1994 PROLINE 170 Sportsman Powered by a Yamaha 115 HP with Stainless Steel Prop - Power Tilt Trim. Included - Bait Tank, Live Well, T-Top with Canvas, VHF, Stereo, Dual Batteries with switch and trailer. 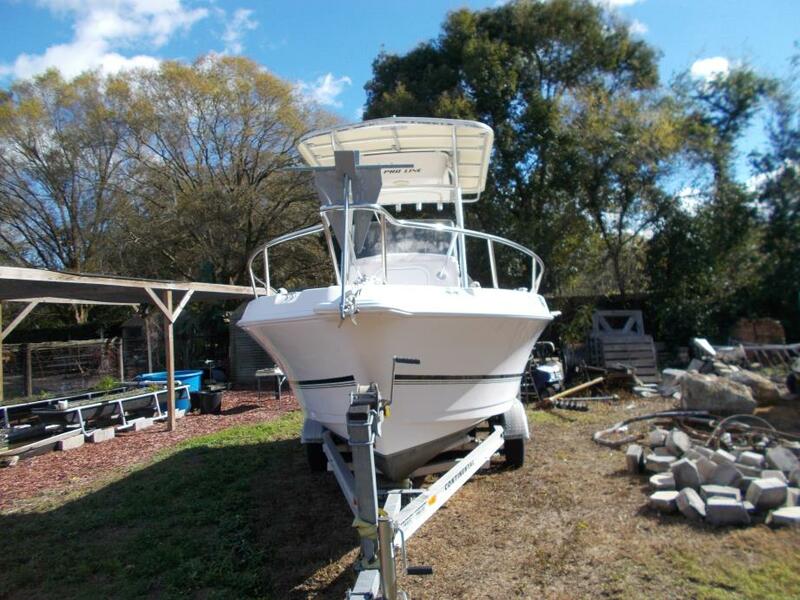 1998 PROLINE 170 Center Console This is a very nice low hours boat. It's powered by a 120 HP Force by Mercury. It has a bimini top, Motorguide trolling motor, vhf marine radio, Hummingbird fishfinder, 3 new batteries, and a Fast Loader aluminum trailer. 2005 Proline Sport Center console in excellent condition just fully serviced by Seven C's water pump replaced, carburetors cleaned out / all jet lines flushed, all filters changed, new bait pump motor and compression test done 1 - 110, 2 - 107, and 3 - 107. Boat is clean inside / outside with everything working. Second owner with less than 170 hrs on engine mostly just starting up weekly little time to use in water. Comes with 90 hp Yamaha 2 stroke engine with stainless steel prop, bait well, custom boat cover $900, bimini proline top with cover, aluminum boat trailer with good tires little use, Garmin 441 GPS Map electronics, 2 boat anchors, FM radio w/ CD player, hand held emergency radio, 5 life vest and everything thing else required to be ready to fish. 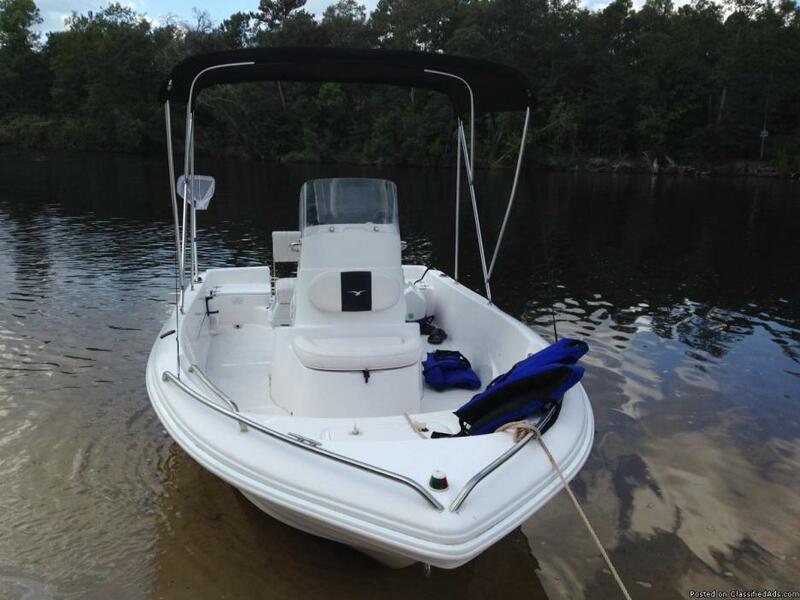 Boat is very solid and heavy so handles well very dry for bay or islands on calm days. Great on gas miles can go to Horn Island 3 times back and forth less than a tank of gas. Comes with all original manuals and repair receipts. If still listed then boat is available. Will not accept paypal or provide email address as too many scams. List for over $13,200 so priced to sell. Welcome to come inspect or test ride.